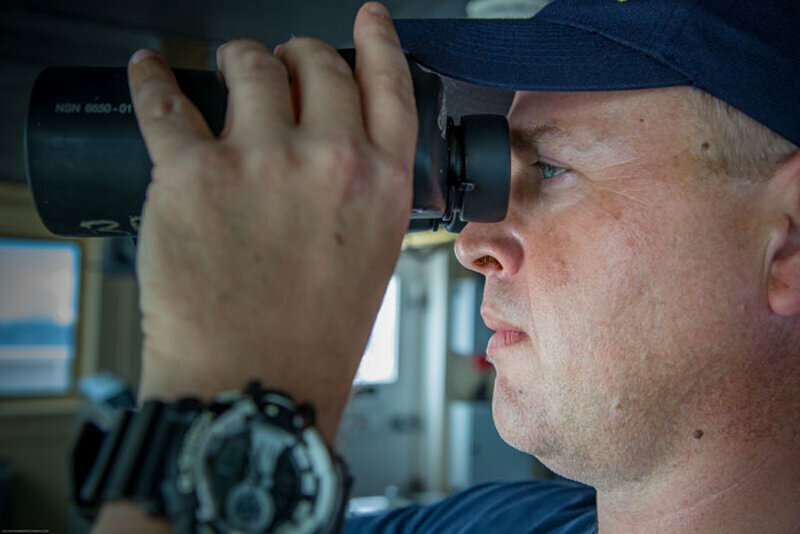 Many crew members use numbers in their daily work aboard the Okeanos Explorer. Math is exceptionally important in this line of work, whether performing simple calculations or solving complex problems. The knowledge and know-how of each highly talented crew member contributes to the mission. 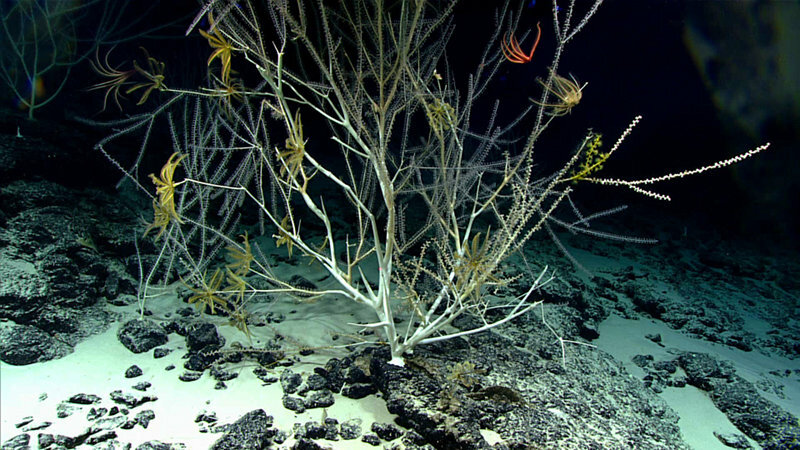 I am often asked why many deep-sea corals are so colorful in a completely dark environment. Because we are visual creatures, we may assume that color variation and patterns are always associated with visual cues. But deep-sea corals display colors in the dark for a myriad of reasons unrelated to visual cues. Regardless of the function, we can simply enjoy them for their dramatic colorful beauty. 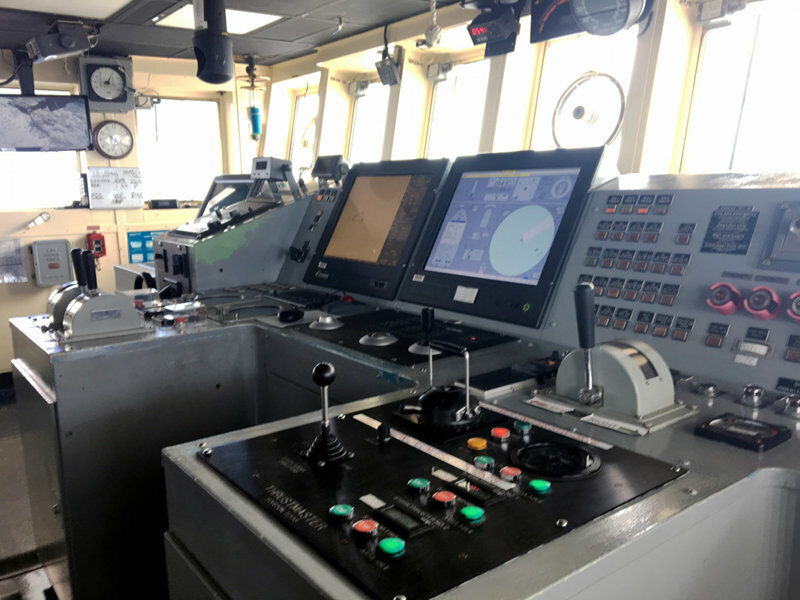 What does it take to work on NOAA Ship Okeanos Explorer? It takes a great attitude, a strong work ethic, intelligence, and grit. Lindsey Houska and Nicole Turpin of the deck department embody all of these traits – and more! The engineering team at the Global Foundation for Ocean Exploration specializes in designing, building, and operating robots that traverse the bottom of the ocean. We use sophisticated tools to visit remote ecosystems. Even with modern technology, however, we are still at the mercy of nature – as ocean explorers have been for thousands of years. 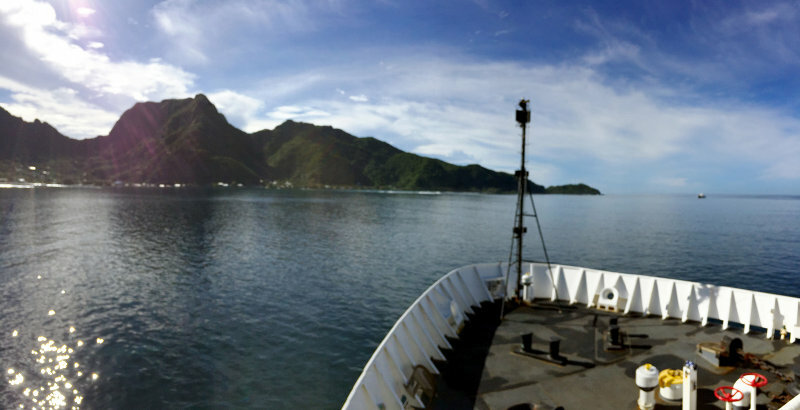 Like many biologists, Scott France's interest in nature does not stop when I leave the deep-sea "office." He loves exploring the natural world on land as well. When they first met, his wife introduced him to bird-watching – and he loves it! 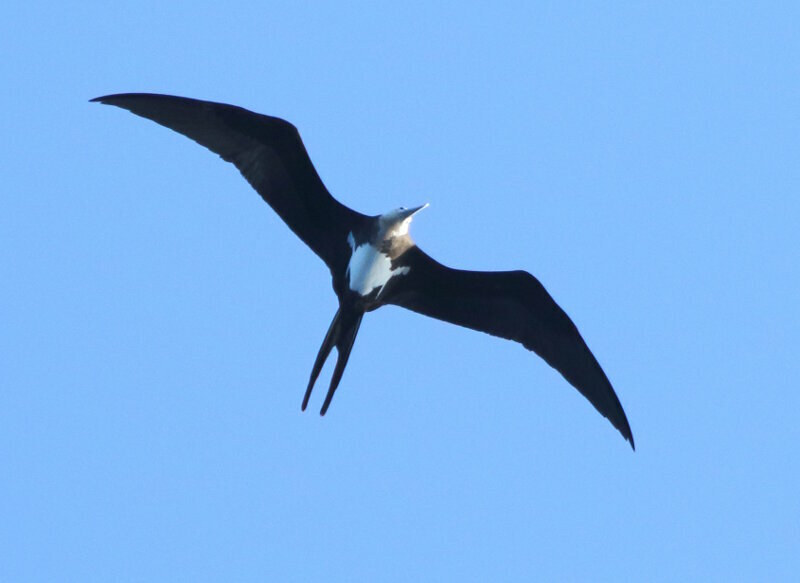 Not only is the diversity of birds fascinating and beautiful, but the mere act of looking for birds focuses his eye on the natural world around him and allows him to see so many more animals, plants, and insects that he might have overlooked. 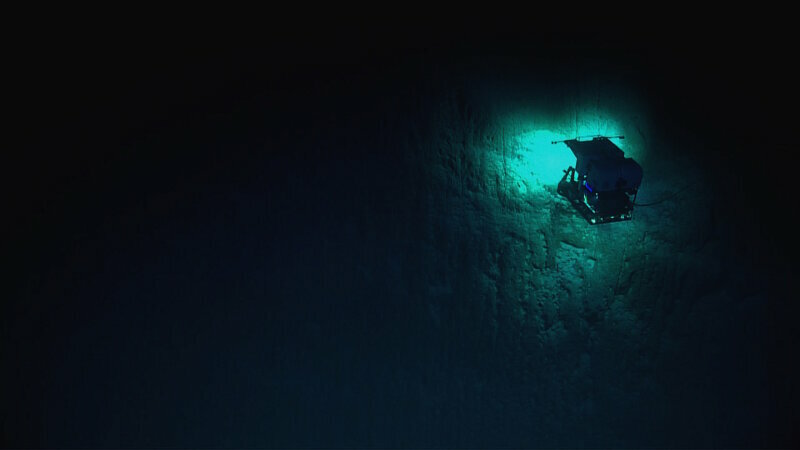 During remotely operated vehicle (ROV) operations, Deep Discoverer has to be able to navigate the bottom of the ocean while the ship is subjected to the forces of the ocean and wind on the surface. To make this possible, the ship must hold its position with respect to the seafloor while combating those external forces. In addition, the dual-body ROV system must work together to hold position. Despite getting many wonderful and interesting fish observations throughout these dives, the frequency of fish observations is relatively low. This could truly represent low fish abundances at these sites, possibly because we weren't working in their preferred habitats. Another explanation is that we see few fish because they are mobile and avoid the bright, noisy remotely operated vehicle. What is the first thing you need when exploring a mysterious part of the ocean? What might you need before deploying expensive one-of-a-kind remotely operated vehicles into the deep sea? Well, good maps of the area, of course! The water column is one of the most underexplored environments on the planet. 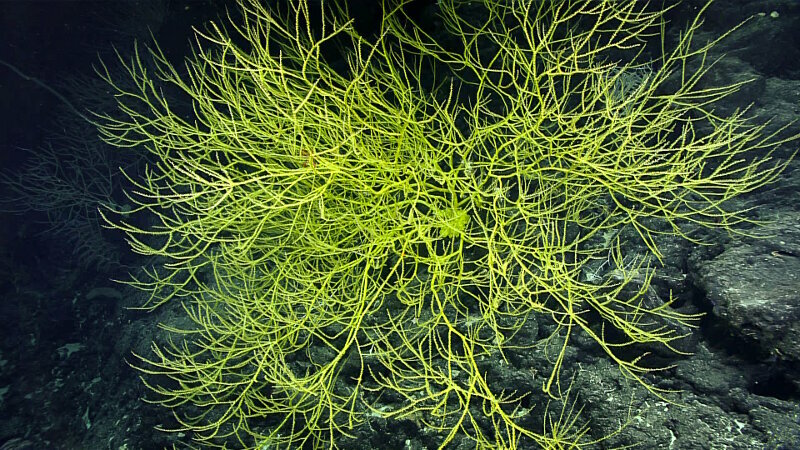 The majority of Okeanos Explorer dives focus on surveying the seafloor to understand the habitat and life there; however, if we slow down and take a closer look, we find that there is abundant life throughout the full water column. 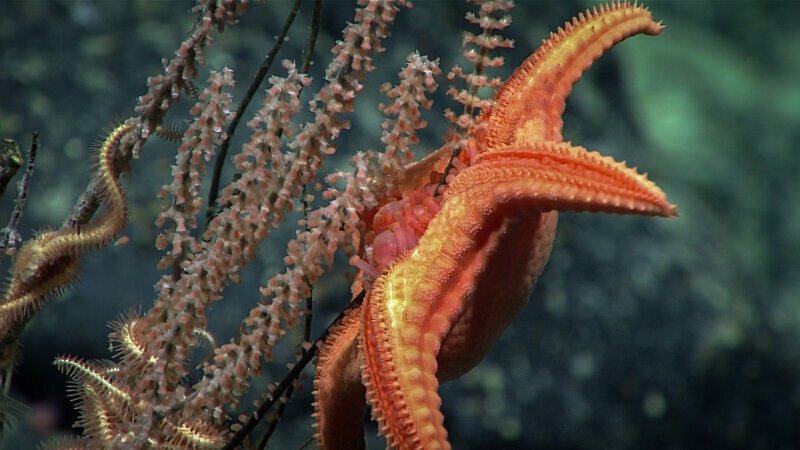 Deep-sea sea stars and brittle stars have evolved a dazzling array of feeding behaviors, ranging from surprisingly agile predation to filter feeding to more conventional scavenging. We have been treated to a menagerie of echinoderms during several of the dives of the Mountains in the Deep: Exploring the Central Pacific Basin expedition. By far the most lovable class of this phylum was the Holothuroidea, commonly known as sea cucumbers. To quote one of our shore-based scientists, "this is the most fantastic thing I have ever seen!" Yesterday's dive was phenomenal. 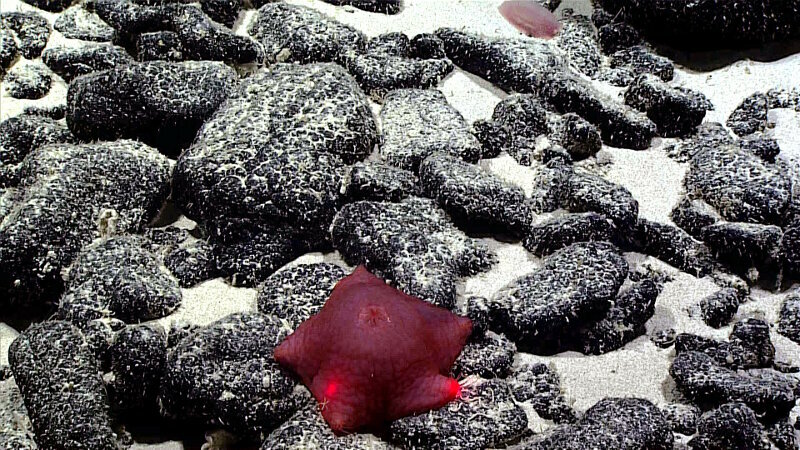 During Dive 05, we investigated a ridge off the southeast side of Jarvis Island and encountered several high-density communities of different organisms. 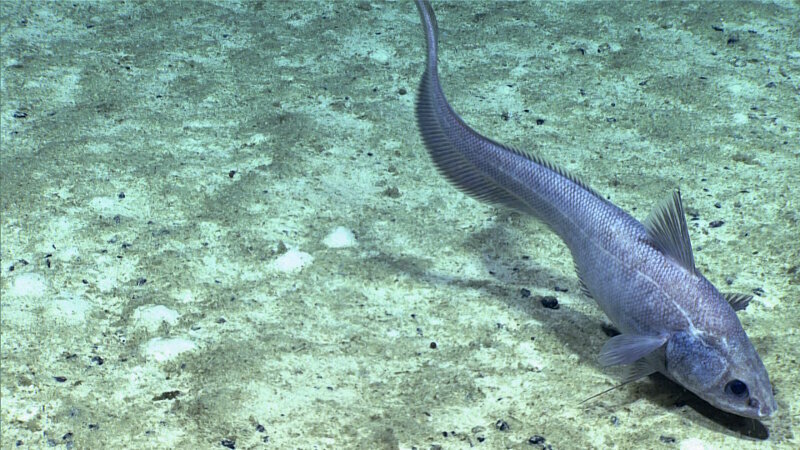 This NOAA Ship Okeanos Explorer survey from American Samoa through the Line Islands is of particular interest for Bruce Mundy. Several years ago, he was a member of the first exploration by manned submersibles of Jarvis Island, Palmyra Atoll, and Kingman Reef, the U.S. possessions in that region. 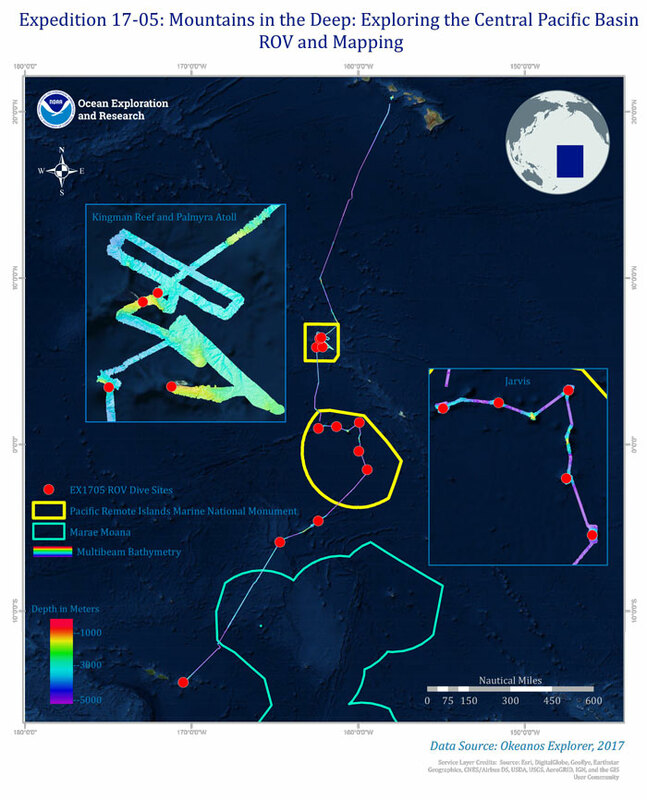 Other explorers on those dives in 2005 were Frank Parrish of the NOAA Pacific Islands Fisheries Science Center (where Bruce also works), Jim Maragos of the U.S. Fish and Wildlife Service, and Barbara Moore of the NOAA Office of Ocean Exploration and Research. When we were invited to join the mission to the Manihiki Plateau from the Exploration Command Center at Harbor Branch Oceanographic Institute at Florida Atlantic University, we were not sure what to expect, as this would be the first time that we had participated in a scientific cruise without actually being on the research vessel. 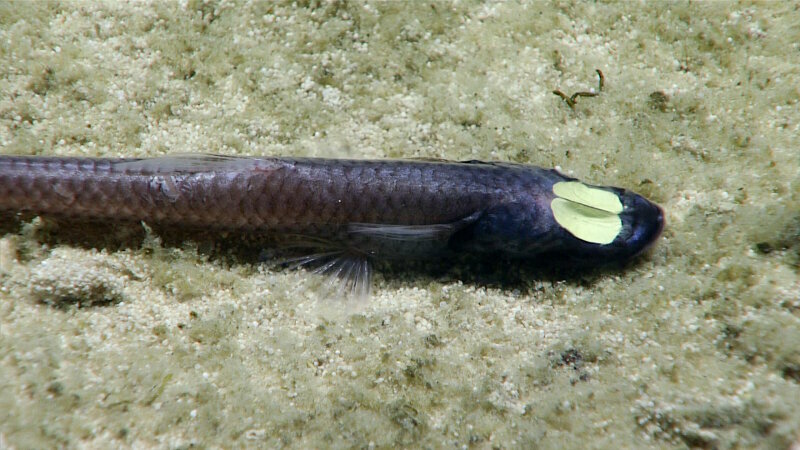 Biodiversity in the deep waters around the Cook Islands is poorly known. Much of our existing information comes from a voyage of a German research vessel in 2007. 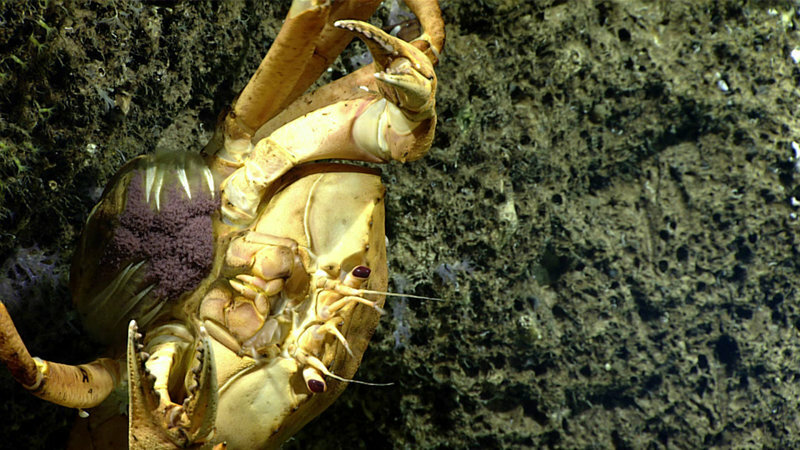 Two successful dives during the current expedition, however, revealed new insights into life in the deep in this region. 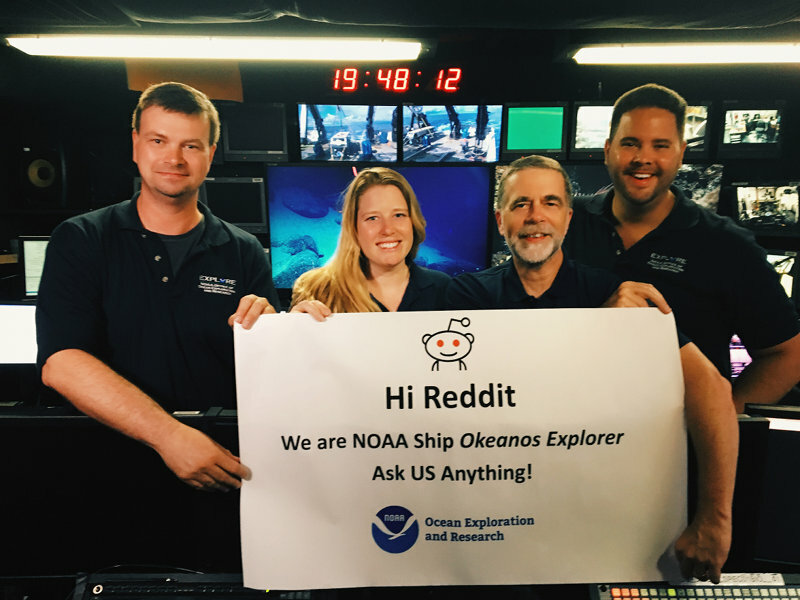 Our science team spent the morning of May 2, 2017, on Reddit hosting an AMA, or "Ask Me Anything" session. They answered questions from the public about our expedition to explore deep waters in the central Pacific – an area of the world where the vast majority of deeper waters remain unseen by human eyes. 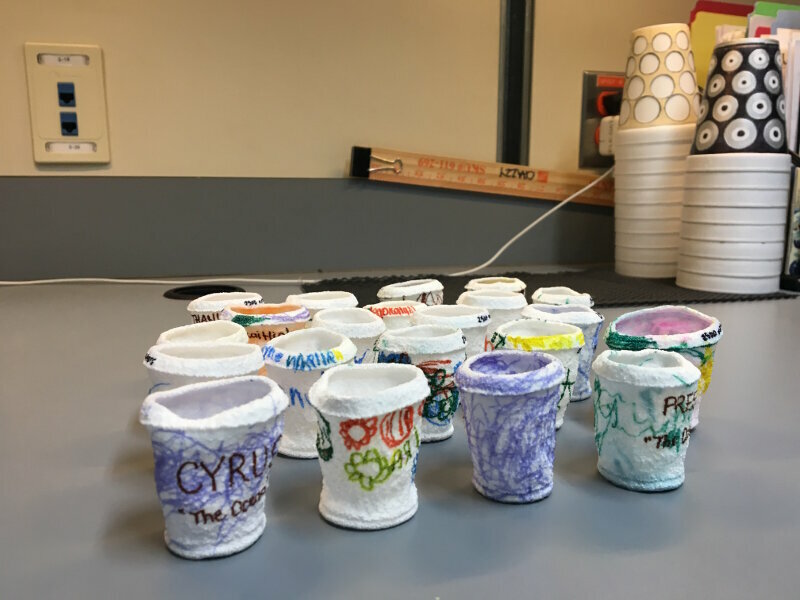 One of the traditions on an oceanographic cruise is to shrink Styrofoam cups which have been drawn on with a permanent marker by having the cups hitch a ride down into the deep ocean. But it begs the question: Why do the cups shrink when they take a trip down 1,000 or more meters deep? 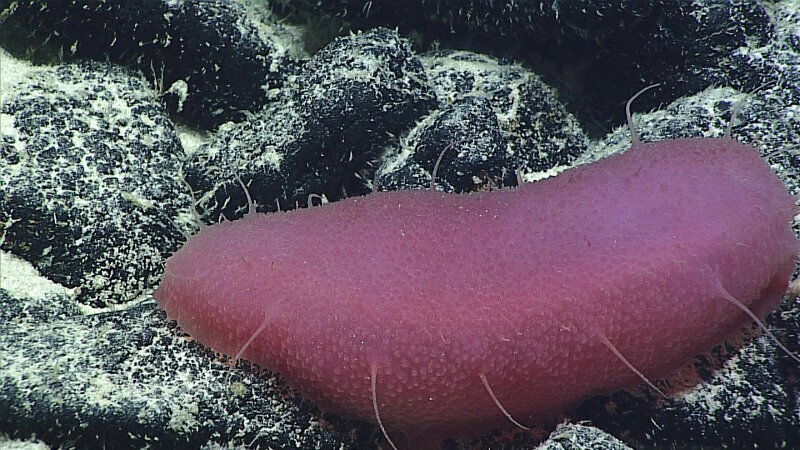 What is the Deep Sea? 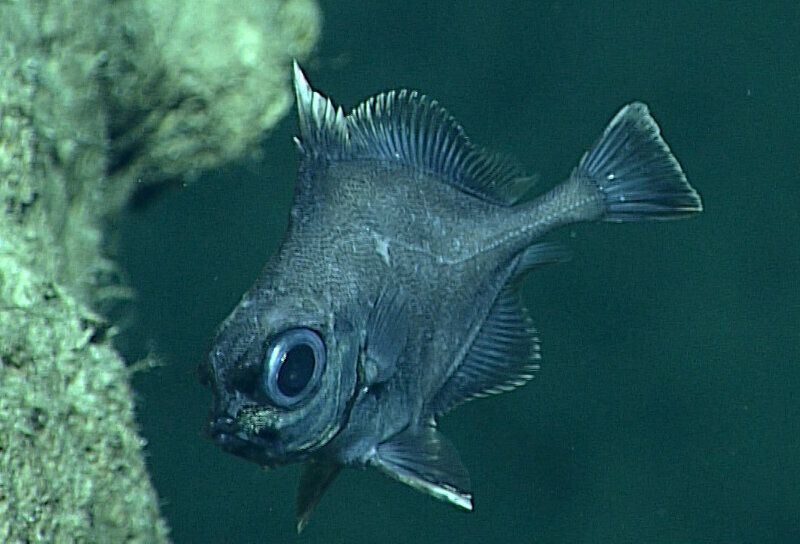 You often hear us say we are exploring the deep sea, but you may not have heard us explicitly define what part of the ocean is considered the "deep sea." 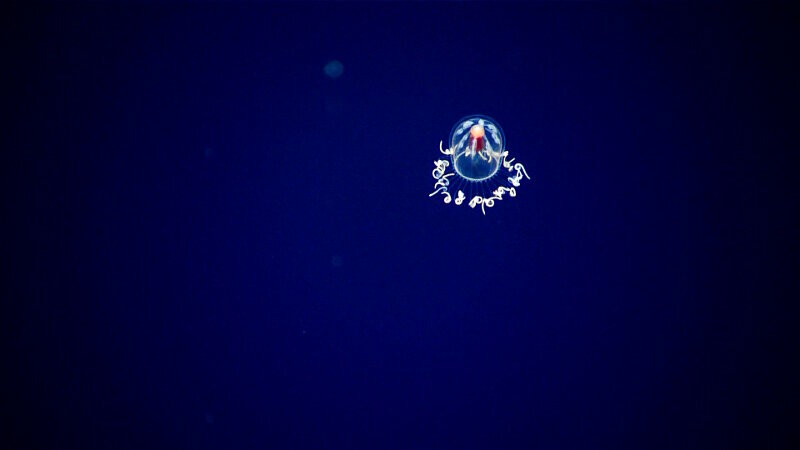 Essentially, the deep sea is the part of our ocean that is dark, cold, food-poor, and typically deeper than 200 meters. 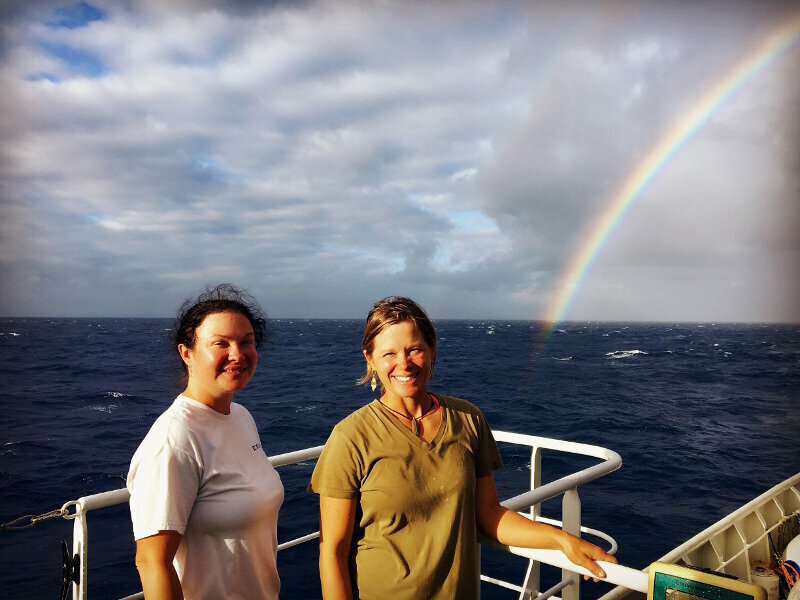 For Expedition Coordinator Kasey Cantwell, Mountains in the Deep: Exploring the Central Pacific Basin is her dream expedition and after months and years of planning and a busy in-port in American Samoa, she is excited to get going and see what will be discovered.